WINNIPEG — 2018’s Most Outstanding Offensive Lineman is staying in Winnipeg. The Blue Bombers have inked Stanley Bryant to a one-year contract extension, the team announced on Thursday. Bryant was set to become a free agent in February. 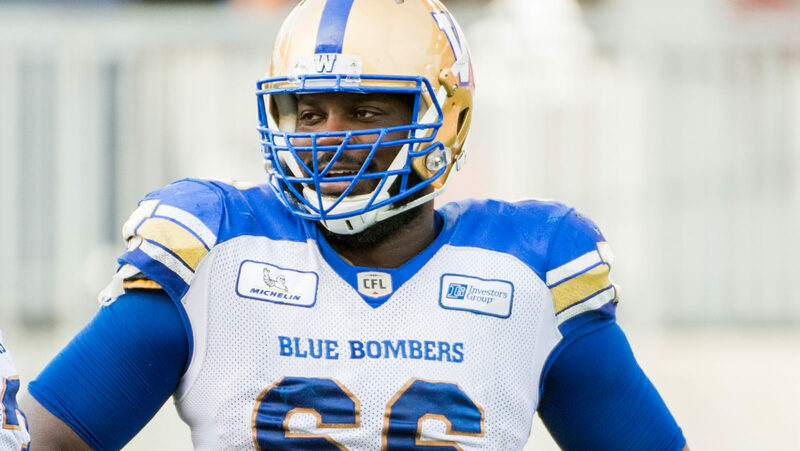 Bryant earned his fourth league All-Star award in 2018 and was awarded the league’s Most Outstanding Lineman honour for the second consecutive season. He anchored the left side of an offensive line that was part of the CFL’s top rushing unit once again, and a group that played together almost the entire season. Bryant will enter his fifth season in Winnipeg in 2019, and has started every game at left tackle since signing in February of 2015, boosting his consecutive games played streak to 83. The nine-year CFL veteran spent his first five seasons in Calgary, winning a Grey Cup in 2014, and has been named a CFL All-Star in 2013, 2014, 2017 and 2018. Bryant has started 138 CFL games, eight playoff games, and two Grey Cup games.